Lot 51 purchased at Tattykeel's 3rd annual sale for $20,000. 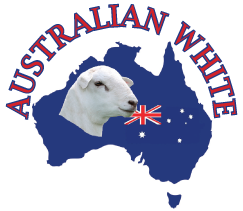 Ardene Australian Whites are pleased to announce their newest addition, in partnership with Roslynmead West Sheep Studs (Echuca). This supreme quality ram was the second highest price ram in the sale. We are excited about the attributes that this ram will give to our breeding objectives, and look forward to his first crop of lambs in 2017, following an ET program in mid October 2016.